Our range of products include packed wet scrubber for foundry. 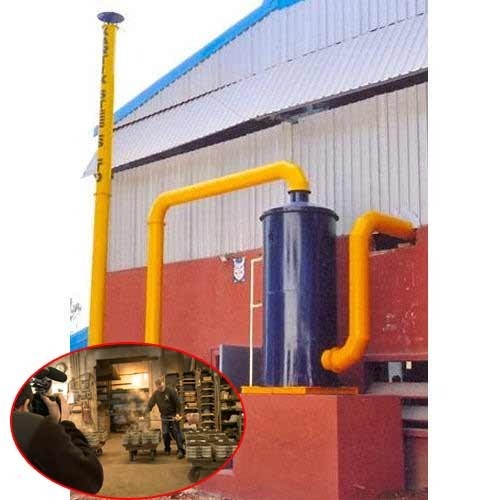 We Manufacturers and Suppliers of Wet Scrubber for Foundry to our valuable customers. Wet Scrubber for Foundry are available at standard market prices without compromising on our quality. Packed Wet Scrubber can be used for any industry where the concentrations of particulate dust are high. These coarse dusts settle on water rapidly. Packed Wet Scrubber are known for their sturdy constructions, dimensional accuracy, and robust design. Packed Wet Scrubber are available at cost effective market prices. Wet scrubbers are common in many industrial applications including pollutant reduction at petroleum refineries, chemical processes, acid manufacturing plants, and steel Castings Foundry. Looking for “Packed Wet Scrubber Systems for Foundries”?